went on the market today. This one last sold for 375K in early 2005. It has the popular first floor master floorplan. It is listed by Tierra Antiqua Realty. It took just less than 3 months to sell 4279 N Ocotillo Canyon Drive – List Price 300K – final price will not be known until it closes escrow. This 2,236 square foot, one-story home was built by Pepper-Viner. It is in excellent condtion with such upgrades as a fireplace in the family room, stainless appliances, 42″ cabinents, and granite countertops. This one is listed by Long Realty and was priced to sell quickly. 4466 N Saddle View Drive. 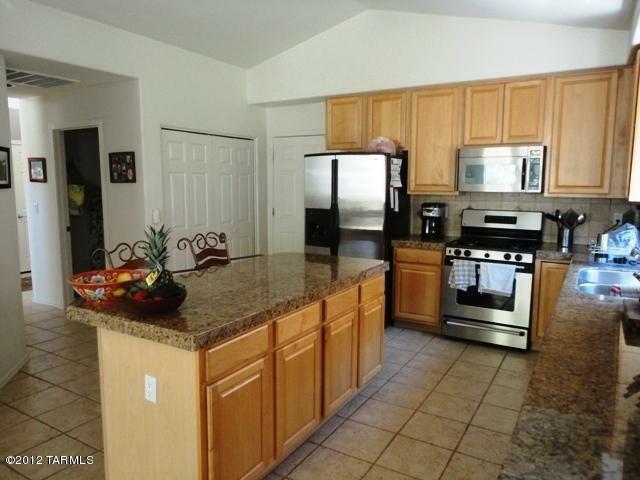 Upgrades include 3 year old black granite countertops and stainless steel appliances. Other nice features include some wood floors and added insulation. This one is listed by Flowing Wells Realty. 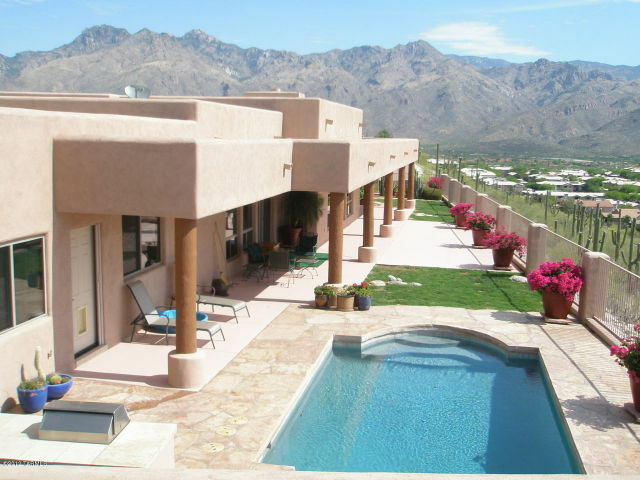 4388 N Sabino Mountain Drive has been listed by Tucson Arizona Real Estate at $870,000. This over 4,700 square foot house is sited on over an acre and was built in 2001. It last sold in May of 2005 for 920K. 4065 N Black Rock Drive saw a price reduction and is now at $739,900. This model-perfect Contemporary is owned by a Designer who upgraded it to the hilt and then decorated it perfectly. 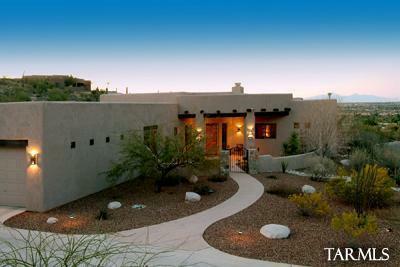 4201 N Quail Canyon was reduced yet again to $899,900, down from the original List Price of 995K in November of 2011. This almost 3,700 square foot home (sited on .6 of an acre) sits near the corner of Quail Canyon and Boulder Canyon. It was built by Outpost Builders and has a modified, semi-custom, popular very open family – kitchen plus dining area floorplan. This one is modified to include a casita. One can find sweeping city views from this home, perched high on the ridge. I sold 4104 N Boulder Canyon Place and the two lots at 4255 N Black Rock Drive and 4385 N Black Rock Drive. 4134 N Boulder Canyon Place sold for 610K after only being on the market two and one-half months. The slower time periods for houses listed for sale before a contract is accepted, is yet another indication that if you price your house appropriately it will sell; this one reduced its price and then it went right into contract. Catalina Foothills Housing Inventory is getting much lower for houses priced below 700K. 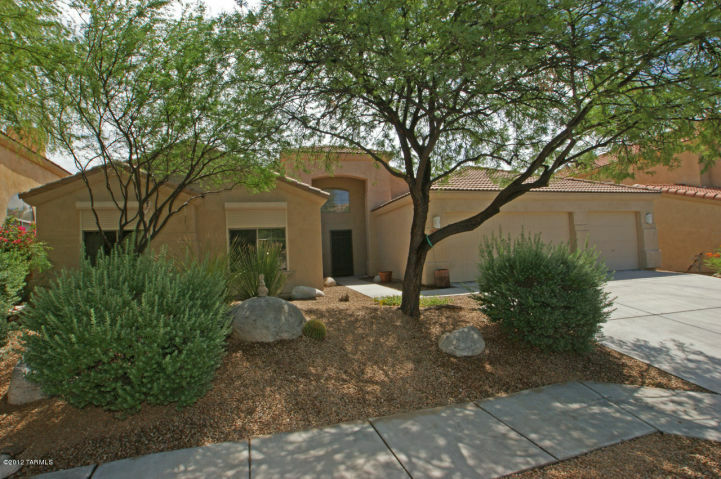 It was listed by Keller Williams of S. Arizona and sold by Coldwell Banker Residential Brokerage. This semi-custom Contemporary home has the popular large and very open greatroom, dining room, kitchen floorplan with over 3,300 square feet. Those who like to entertain love this floorplan and it is also a great floorplan for parents to keep their eyes on small children at play. It boasts a pebble-tech swimming pool, spa, outdoor fireplace and BBQ. I sold this one in 2008 for 825K; this shows how prices have come down, and very likely bottomed. It should be noted that the professional photo was taken when I listed the home previously in 2008. 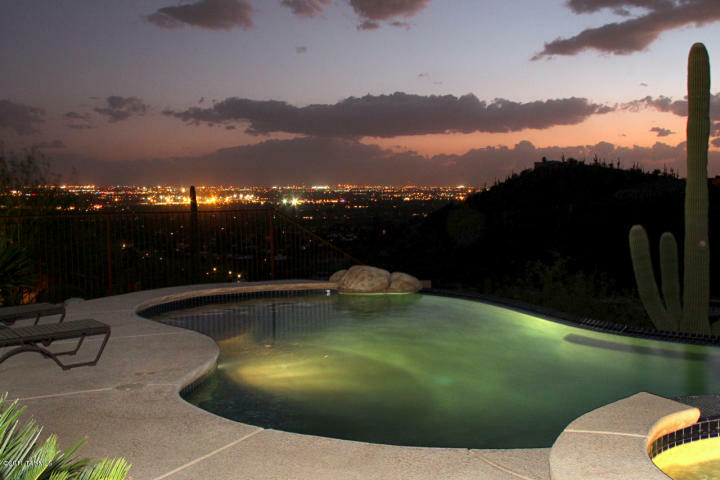 4488 N Sabino Mountain Drive was very recently listed for sale at $895,000. This 3,064 square foot Mediterranean offers amazing views of the Catalinas. Expect to find lush landscaping here with custom spool, firepit, outdoor kitchen to enjoy the Sonoran Desert beauty at its very best. This house is listed by Long Realty. You are currently browsing the Sabino Mountain Blog blog archives for July, 2012.